New rules have been introduced for climbers on Mount Everest as the climbing season again gets under way. There will be more security staff at the base camp as part of the changes, with climbers required to bring down their own rubbish in a move designed to clean up the iconic site. Mount Everest, the world's highest mountain, attracts hundreds of Western climbers and a steady income for the local and national economy each year but the flip-side is it generates a lot of waste. In a bid to address the problem individual climbers who venture beyond the base camp will now have to bring down at least eight kilograms of their personal rubbish, said Nepalese Tourism Ministry official Maddhu Sudan Burlakoti. An existing rule that required climbing teams to bring down their rubbish or risk losing a 4,000 US dollar (£2,400) deposit was not widely enforced. Burlakoti said officials posted at the base camp will check climbers to ensure they have all returned with food wrappers, tents, ropes, clothes, crampons, pegs and gas cans, though it was not clear how climbers failing to comply would be punished. As well as food and bedding another thing climbers shouldn't forget before tackling the mountain is travel insurance, with specialist adventure travel insurance available. Some 4,000-plus climbers have scaled the 8,850-metre summit since it was conquered by Edmund Hillary and his Sherpa guide Tenzing Norgay in 1953. The monumental site has been labelled by some observers as the "world's highest garbage dump" due to the tons of rubbish left on the slopes by climbers over the years. 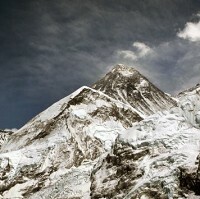 As part of the latest government efforts to improve things, a contact office tent is also being opened at the base camp with officials stationed there throughout the spring climbing season from March until May to offer help to climbers, resolve any issues between climbers and monitor the rubbish situation. Safety concerns were sparked last year when a brawl broke out on the mountain between Western climbers and their Nepalese guides. Officials in Nepal - which is home to eight of the 14 highest mountains in the world - say the rules will protect the environment, improve the management of a growing number of climbers and increase their safety.